We offer a wide range of brass handicraft items like home decor, gift, utility etc. 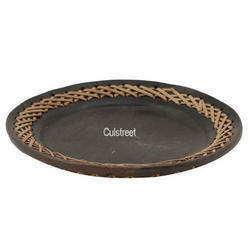 We are engaged in offering our clients wide range of brass design tray products procured by our reliable vendors, these are fabricated using premium grade basic material. We supply all the brass design tray products in compliance with international standards and are appreciated for strength, durability and corrosion resistance. Mughal Style Decorative Brass ServingTray, Size: 18"
Brass pin tray dolphin colored. 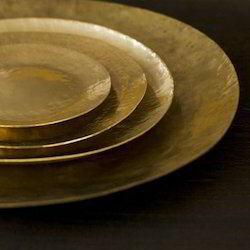 With immense market knowledge, we have been able to provide optimum quality Brass Trays. GIFT POINT INC.The company was founded in 2005 and has showed every year an increase of sales and customer base. This fish Tray is made of high quality brass. This silver and gold finish gives very royal look to the products if anyone need this please contact us.